NOTE: MODEL EXCLUDED FROM YEAR END SALE. COUPON DOES NOT APPLY. Had Dan Gurney ended his involvement in racing when he took off his driving helmet following the 1970 season, he would still be counted among the greatest—not just here in America, but the world over. The first man to score victories in the four major racing series—Formula 1, NASCAR, Indy Car, and Sports Car—as well as Trans-Am, Can-Am and numerous other classes, Gurney excelled in virtually every vehicle he touched, thanks to his legendarily smooth and graceful driving style. But of course Gurney didn’t stop at being merely a world-class driver. Even as he was winning at racing’s highest levels, he took on the role of car manufacturer and team principle—seeking to realize the dream of winning on the world stage in an American-built car. Gurney founded the All American Racers team in 1964, and by 1966 AAR was designing competitive cars in USAC (Indy Car) and Formula 1 simultaneously. Dan’s win of the 1967 Grand Prix of Belgium in an Eagle Gurney-Weslake V12 remains the first and only time that an American citizen built and raced a car of his own construction and put it into the winner’s circle of a World Championship F1 race. 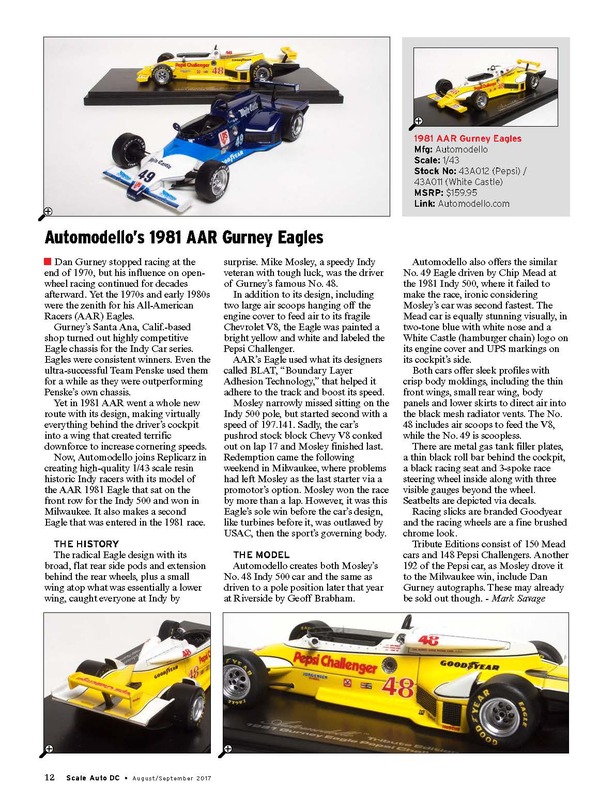 Meanwhile, Gurney Eagles were winning in Indy Car, and starting in 1969 AAR focused its full attention on that series. Over the next decade AAR would score 22 Indy Car victories—7 by Gurney himself—and a Championship for driver Bobby Unser in 1974. The 1981 AAR Eagle Pepsi Challenger scored the last of those 22 victories. In 1980 AAR introduced a version of its Eagle Indy Car with the truly innovative “Boundary Layer Adhesion Technology” (aka BLAT.) The acronym referred not to the sound quality of the stock-block pushrod Chevy V8 but the novel system of generating aerodynamic downforce developed by Gurney and engineers John Ward and Trevor Harris. While conventional cars of the day relied on ground effects, the Eagle generated twin vortices under the rear bodywork to generate downforce, with the engine exhaust routed to further enhance efficiency. The car looked like nothing else on the track, and its performance soon proved just as singular. When the Eagle showed up at Indianapolis in 1981 carrying ‘Pepsi Challenger’ sponsorship, it looked poised to give the turbocharged Cosworth cars all they could handle. Driver Mike Mosely qualified second, but retired early due to engine trouble. More reliability issues plagued it at the next race in Milwaukee, resulting in a 25th place starting position at promoter’s option on the grid. But the tight Milwaukee Mile oval suited the Eagle’s prodigious grip, and Mosely set about working his way through the field. Picking off cars one by one Mosely eventually took the lead and finished more than a lap out front of his nearest competitors, completing an improbable, impressive last row-to-first run. It would prove to be the AAR Eagle Pepsi Challenger’s only win, as an unfortunate series of mechanical failures and incidents conspired to deny the team another win despite leading in four other races. Meanwhile, a consortium of owners was undertaking a conspiracy of their own—one that ultimately succeeded in having the car outlawed. The fact that racing politics did what competing cars could not in no way diminishes the fascinating and all too brief history of the AAR Eagle Pepsi Challenger. Its innovative spirit and superior performance are fitting tributes to Gurney, and the appeal they inspire in collectors has moved Automodello to recreate it as a precision replica in exacting 1:43 scale. 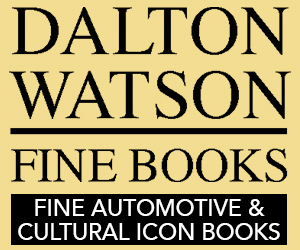 The models have been officially licensed by the All American Racers team, and 192 Founders Editions come with a serialized certificate of authenticity signed by Dan Gurney himself. Thank you for joining Automodello in celebrating this unique piece of American open-wheel racing history, and we hope you enjoy your model for years to come. This model is eligible for Diecasm's exclusive Automodello 3 payment plan for 1:43 scale models. Please see details here. 1963 Ford Mustang II Concept 1:24 1964 Marcos 1800 LHD Racing Car Show "Prototype"